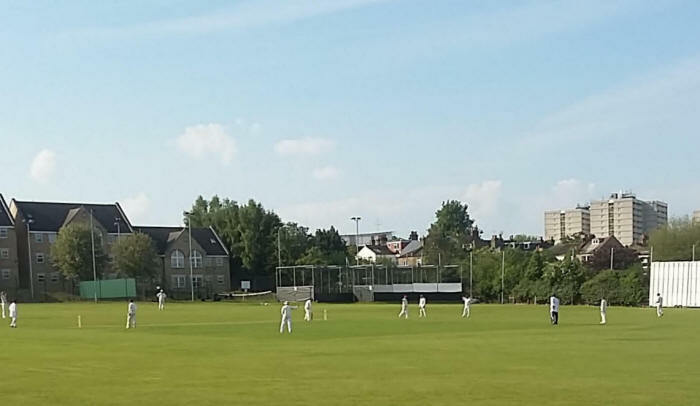 This was the first of six new fixtures this season and with two debutants on display we were hungry to get back to winning ways and with the sun shining and the temperature in the mid twenties it was all set up for the perfect day! Hassan Khan won the toss and elected to field. Hassan and left arm quick Zubair Gardiwala open up the bowling and got us off to the perfect start with three quick wickets! We had them tottering at 9 for 3. Holtwhites managed to steady the ship and they reached 68 with young gun Tinashe looked set for big score. But he got a bit too ambitious and attempted to drive a full ball from Khan which was swinging away, feathering the outside edge to the keeper for 36. We used nine bowlers on the day and all bowled a tight line. I took 3 wickets, Ravi Chandra took a magnificent catch off his bowling and Yusuf Malji razor sharp reflexes resulted in a run out. 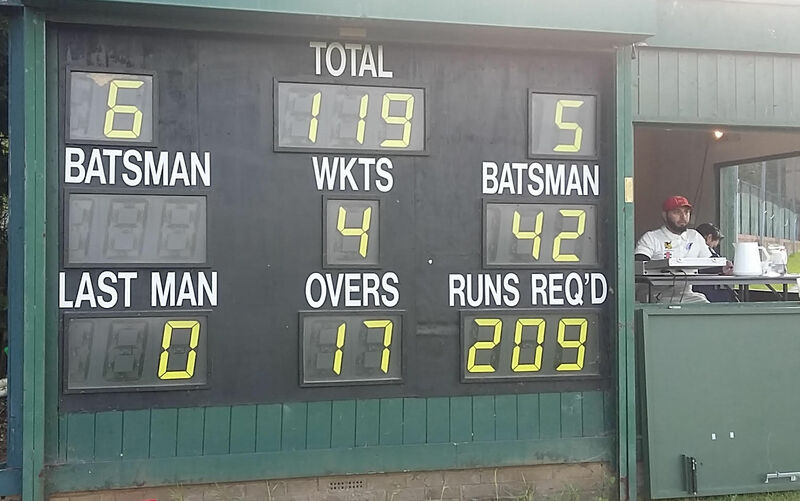 At 143/9 it looked like we were going get them all out for under 150, but a plucky 65-run unbeaten last wicket partnership got the home team to reasonable total of 208-9 off 35 overs. After a splendiferous tea in the luxurious clubhouse we was had our sights set on victory! Raj Rejander and Kafh Hasan approached the crease in a positive manor and it wasn't long before they were hitting boundaries at will. Raj scored a quickfire 30 with 5 fours and 1 six. Ravi got his eye in early and also was seeing the ball big. We reached 119-4 at drinks and looked set for comfortable win. At the crease now was Khan and Gardiwala with a contrast in styles which couldn't be more different which worked well together. While Gardiwala was in T20-mode hitting 12 sixes and 7 fours - which resulted in EIGHT lost balls in his 115 not out - Khan was in test match mode, facING 38 balls for his 6 runs. Kemet Barrington on his debut came in at the end and scored two boundaries and got us over the winning line to win by 5 wickets.